No sooner had I written about the David d’Angers that I turned around again and went back to the Frick to see some pretty spectacular art lent from the Royal Picture Gallery Maurithuis in the Hague. The collection at the Mauritshuis is all Dutch and mainly 17th Century. Though concentrated in one field, it is a gem just as our Frick Collection is. The museum has been closed for renovation and therefore about 50 of their paintings have gone on tour through Japan and the United States. The Frick is showing 15 works from this group that represent the different genres of Dutch painting. To digress, several years ago we had just visited the Louvre and stopped for a bite at a bistro nearby and began discussing what we had seen at the museum. Next to us there was a mother sitting with her young teenage son who had his nose buried deep inside a book. The woman overhearing our conversation told us that her 13 year old son had read the “Da Vinci Code” by Dan Brown and had insisted that they pick up and go to visit the Louvre; thus ensued our dinner conversation. While we may not have been big fans of the book (actually I liked it and Penelope didn’t) we were both thrilled at all the people who came to visit a museum because of it. Now again, another novel, “Girl with the Pearl Earring," written by Tracy Chevalier in 1999 and turned into a movie in 2003 brings visitors to the Frick to see the Vermeer painting in reality. The author is an American who studied and now lives in England. When Penelope was working with Peter van der Ploeg, then Maurithuis chief curator, on an exhibition for the Portland Art Museum, he stopped at the guest book at the entrance to check the comments of recent visitors. To his surprise he found Tracy Chevalier had been there again and signed with the message “I love her as much as ever"! As an added bonus coinciding with the American tour Donna Tartt has come out with a novel called “The Goldfinch” which is titled after the small picture by Carel Fabritius in the Mauritshuis collection, though, from what I understand, in the novel the picture is at the Metropolitan Museum. My one disappointment in the show is that the museum felt it necessary to glaze (cover with glass) all but one of the pictures giving reflections and hiding impasto and craquelure from the viewer. 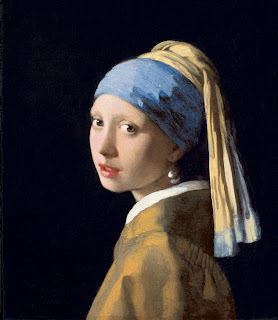 I can excuse this when we are speaking of an iconic painting such as the “Girl with the Pearl Hearing”, or for paintings on wood panel that have to be enclosed for climate control during travel, but I find it distorts our view of the art. 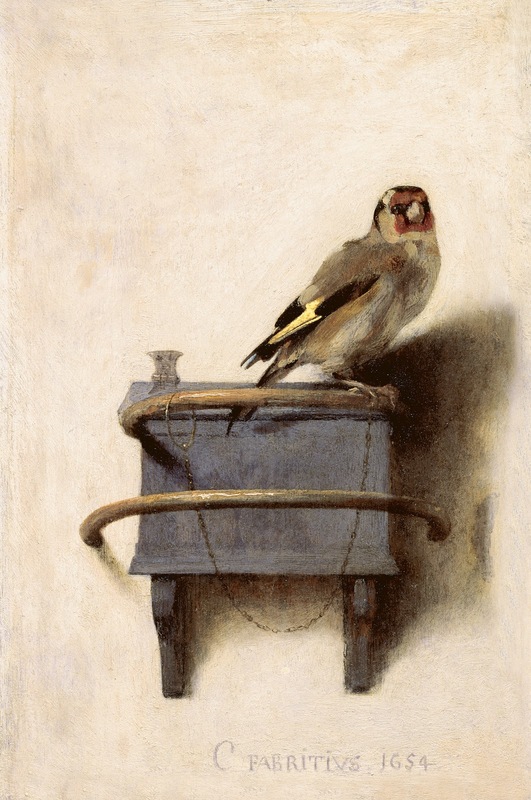 The Mauritshuis catalog is so well produced and printed that in some cases the illustrations are excellent substitutes for the painting (I never thought I would ever hear myself say that!). For once I am delighted to be as old as I am since I had the opportunity to see these pictures unglazed. There comes a point that some paintings are so overpublicized that they become what the British used to refer to as candy box. In other words an image that became so familiar that you might find it on a box of fine chocolates. I would rather make a new discovery. 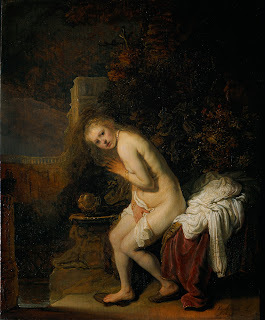 While there was no picture in the show that I had never seen before the one that I probably could look at longer than the others was Rembrandt’s “Susanna and the Elders”. This is the story from the book of Daniel about the two old men who prey upon Susanna who is bathing alone. When she resists them they claim that she was having an illicit rendez-vous with a young lover. She is about to be put to death as an unchaste woman when a man called Daniel appears and suggests that maybe the elders should be questioned. When they are separated it becomes evident that they are lying and they are put to death instead. In the Mauritshuis version of Rembrandt’s painting the men are hidden in the bushes and almost impossible to see. Susanna has not yet seen them but has heard them and looks at the viewers as if pleading for their help. You see that she is not an idealized young woman but attractive in her fleshiness, which was the taste of the day. Her vulnerability is what makes one sympathetic to the painting. If you haven’t seen these pictures in a while it is definitely worth going to the Frick and If you are a member of the museum you can go right to the front of the line. I met one gentleman who became a member just so he could do that. Great post, Gerald. I agree with your comment about glazing. I haven't yet seen the Frick show, so I don't know what kind of glass the Mautizhaus is using, but there are good non-reflective options these days. We've had to glaze all the pictures in the current tour of the Clark's collection, and it turned out all right. Depends on the lighting as well. Regarding Rembrandt's Susannah, you're right that it is a more sympathetic depiction of her plight than most from the era (compare Tintoretto's in Vienna! ); but that's not to say that she isn't still presented as an object of (male) delectation. Mary Garrard noted long ago that Rembrandt depicted her in the pose of Venus Pudica, which would have encouraged lustily thoughts, presumably. As you say, the Elders (the villains of the story) are barely visible...but it's still a great painting!